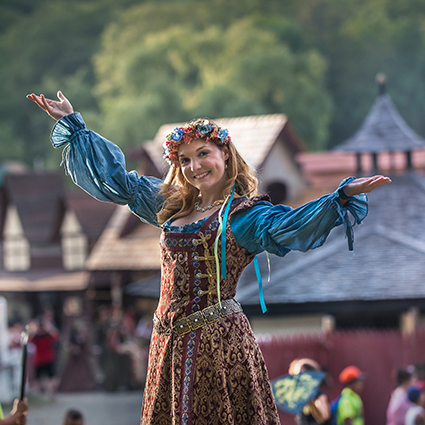 Want to join in the merriment at the Faire? Many Faire activities invite you to become more than a spectator. But there are other ways to feel like you are one of the merry-making revelers. See the REP Costuming Guide for more information! Once dressed appropriately, thou might wish to converse in the tongue of the Realm. For thy pleasure and edification, why not learn some Renaissance words and phrases so you can speak like a 16th century native?